At HorizonOne, we see a wide range of approaches to recruitment. Wherever possible we focus our client’s attention on talent, key motivators and attitude above all else. While there is no set formula to creating a great team, we wanted to share two unique approaches to sourcing talent that make great business sense. CFO Rob Hanlon joined the Australian Financial Security Authority (AFSA) Finance team in July 2012. The team had an unsteady reputation among fellow business units, was known for being reactive, and there were issues around staff turnover, vacancy rates and absenteeism. Rob’s attitude to building a high performing team is one that is probably a new concept to many of us: planned turnover. “We know that there are limited opportunities for promotion in our team due to the size. You may be surprised to learn we do recruit for people who want to progress even if they can’t stay within the organisation when it comes to the next step of their career. Rob explains those who want to go the extra mile will be the difference between returning good financial results and excellent financial results for an organisation. He says he would rather get a few years out of a high performer than 10 years from someone just average. But it doesn’t stop there. Attitude and motivation, the ability to work in and be part of a team, and someone who is client focussed are also key considerations for Rob. Rob’s attitude and approach to recruitment has seen significant improvements in delivery and efficiency, significantly reduced staff turnover and very positive results from a recent staff survey. In May of 2011, the Australian Sports Commission appointed a new CFO to address a number of issues facing the team including significant audit findings, and the task of rebuilding a fragmented finance team. Fast-forward three years and the ASC Finance team now enjoys a collaborative team of 22, audit findings addressed and time to focus on continuous improvement. Omar Bouhafs – Director of Finance and Systems explains, you must have the right attitude to recruiting if you want to build a high performing team. “My attitude to staff selection includes giving due consideration to members of the existing team. A mix of different personalities, backgrounds and characters enrich a department and build strong morale which results in high performance. “I use behavioural based interview techniques and examine what an individual has achieved in their previous place of employment and what will transfer well into our business. 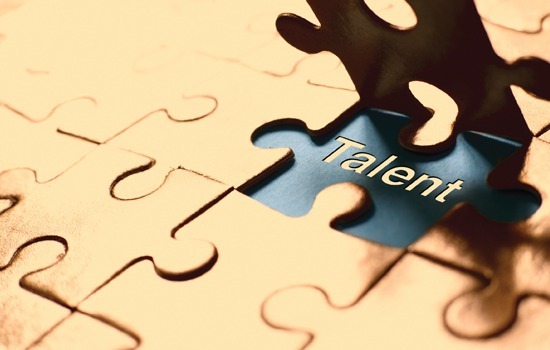 Focus on talent….. before it’s too late!